I take full responsibility for Michigan's loss to Toledo last Saturday. In all my 35+ years as a fan, that was the first game I'd seen at Michigan Stadium. Clearly, I am a jinx. I did get one picture that seems to summarize things this year - good effort, lots of promise, but blown up and ultimately futile. 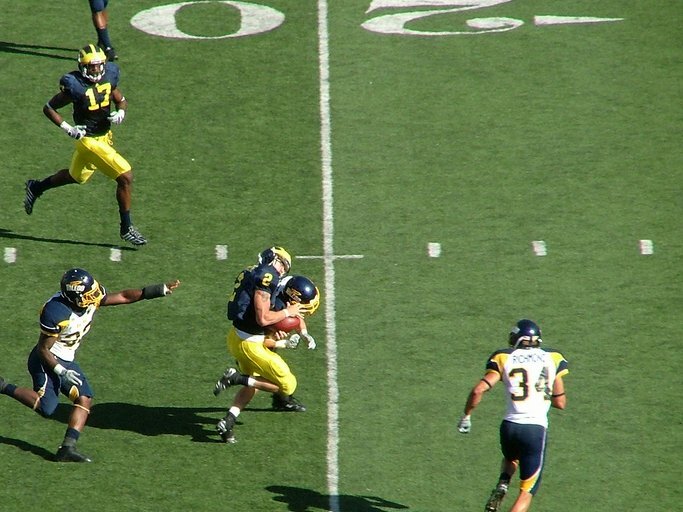 It's Sam McGuffie's catch on Michigan's last drive, where he gets pasted by the safety. So if you put your baby up for adoption, would that be considered regifting?